Possibly native to North America, and found throughout the United States, Canada, and in Europe. 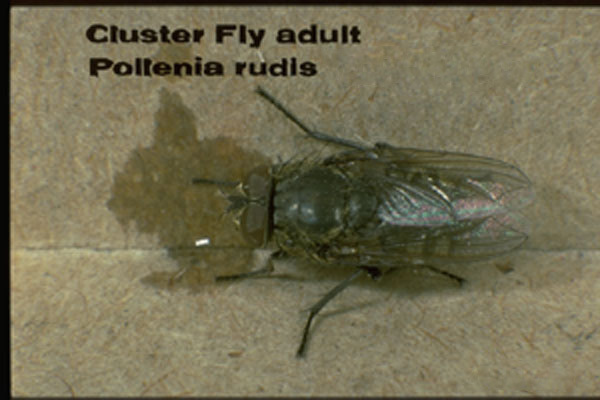 The pest significance of the Cluster fly is due to the habit of the adults gathering in large numbers within structures, where they spend the winter months. On warm winter days they may awaken and become a nuisance within the structure. 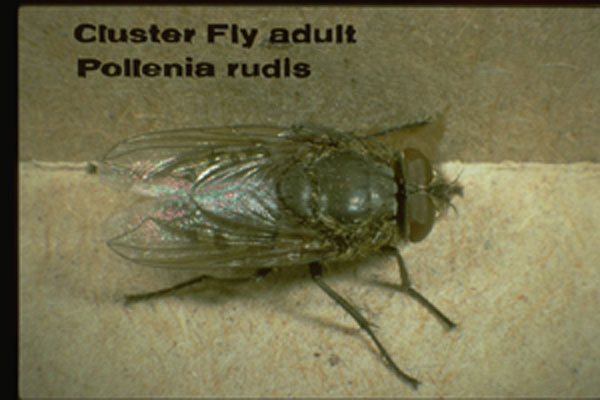 They are large flies and poor fliers, and may land on arms or faces as they move about. 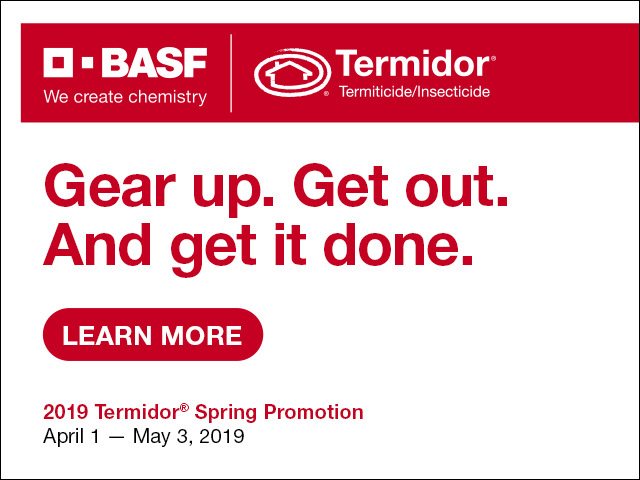 Once spring warmth activates all the flies they emerge from the structure in great numbers to gather on walls, furnishings, or objects outdoors. When crushed they give off an unusual, sweet odor. The larvae are parasites of earthworms. The female lays eggs in the soil and the maggots seek out earthworms, which they penetrate and live within, eventually killing the worm. The life cycle from egg to adult takes about one month or a little longer. 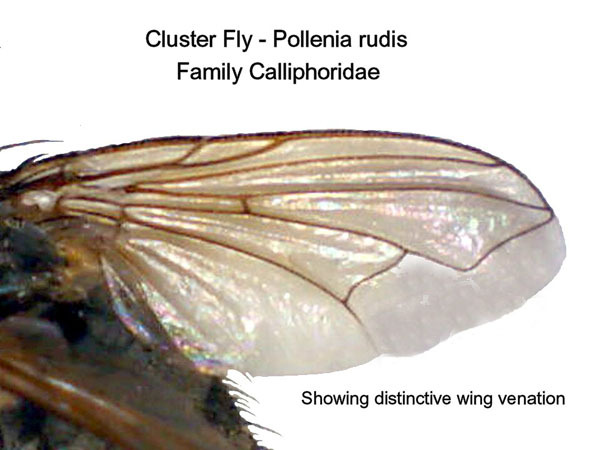 The adult flies are unusual for their family, in that most other species of Calliphoridae are shiny and brightly colored. 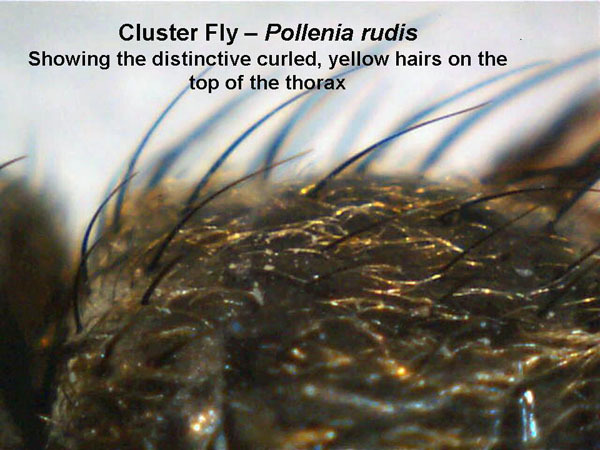 The Cluster fly is a dull, dark gray color, it is slightly larger than the House Fly and without the dorsal stripes on the thorax, and the thorax of the Cluster fly is covered with short, curled, yellow hairs. When at rest the fly holds its wings flat over the abdomen with the tips crossed. 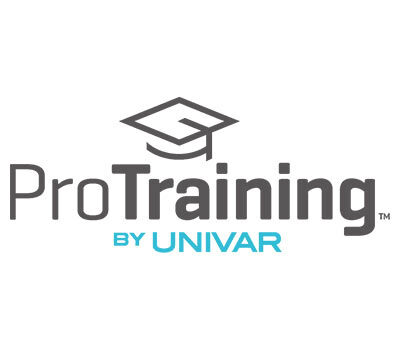 Control of the larval stage is not possible, so attention instead is given to either preventing the entry of the adults into structures, or killing them once they are hidden in voids. Closing off the small openings that allow entry is good long-term prevention, and treating enclosed voids with a dust insecticide will effectively kill the adults. If the flies are resting in large accessible voids, such as an attic, they may be captured with specialized UV light traps.